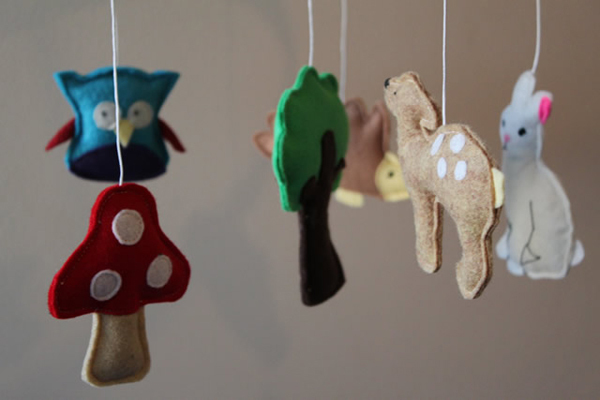 Mobiles without all the bells, whistles, musical soundtracks, lights and action can sometimes be a little hard to come by, so we’re over the moon to have stumbled across these beautifully serene baby mobiles to hang in your little person’s space. The Bear & The Whale have a large range of baby mobiles handmade from a sea of felt, fabric, ribbon, buttons, thread and filling. Superbly made, these baby mobiles are sure to add a calming personal touch to any nursery and with such amazing designs, babies are bound to love them too of course! I’m a sucker for deer, so the Woodland mobile (priced $65, pictured above) won me over from the very start and that super sweet hedgehog is a bonus indeed. There are plenty more designs on offer, from butterflies and owls to cute grey jersey elephants (pictured below). If you see a design you love, but the colour isn’t quite right for your nursery, The Bear & The Whale are only too happy to help customise something for you – you just need ask. 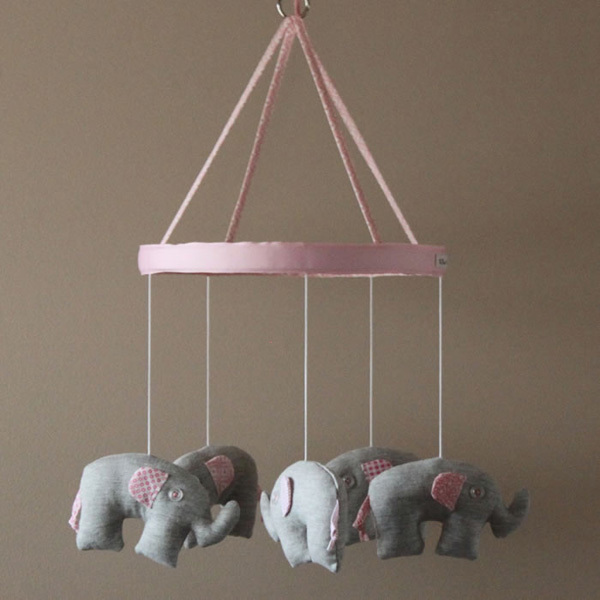 Baby mobiles are priced from $50 and available from The Bear & The Whale.